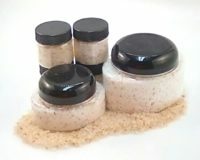 Our bath salts are 100% vegan and we use organic coconut oil to disperse the salts in your bath water. 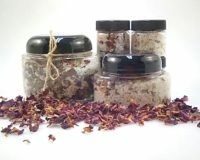 Our bath salts can become “Bath Teas” by adding an organza bag you can pour your salts into while relaxing in the bath. The recyclable organza bag aid in holding the botanicals (flowers and herbs) while bathing providing an easy clean up.